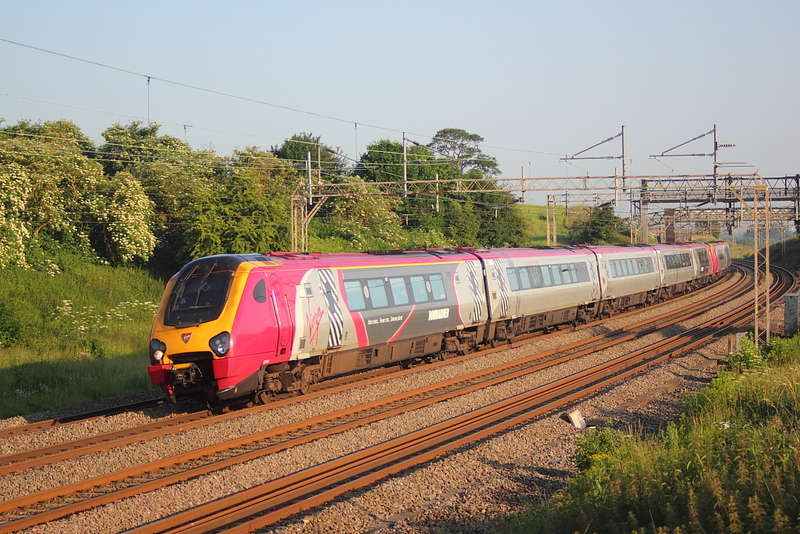 UID Voyager on 1O86 09.35 Newcastle to Southampton Central. 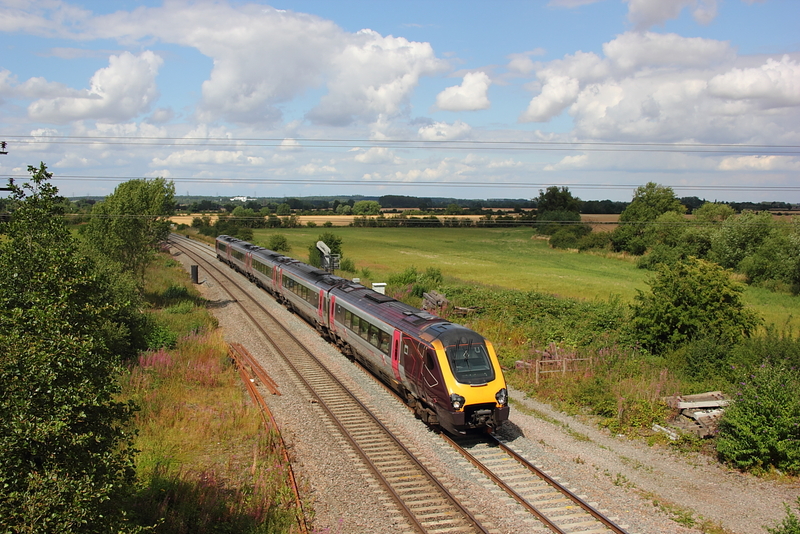 221183 1A04 05.38 Lancaster to London Euston. 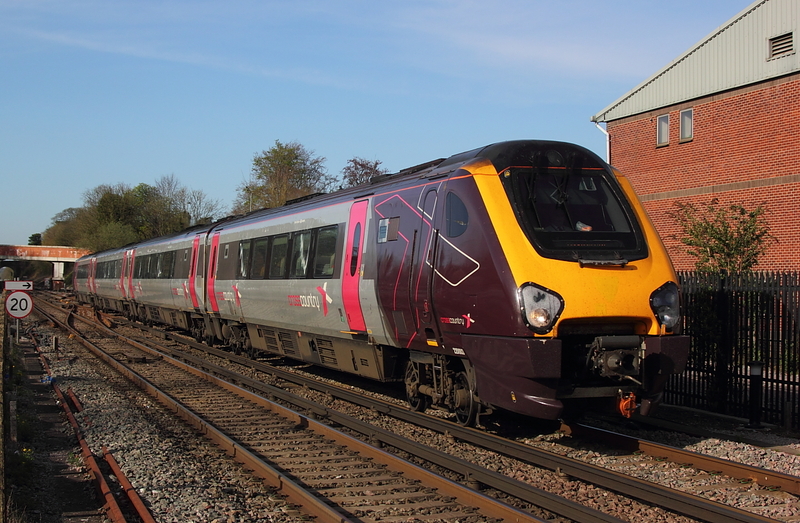 221135 with GG in the drivers seat passes with 1o08 07.28 Manchester Piccadilly to Bournemouth. 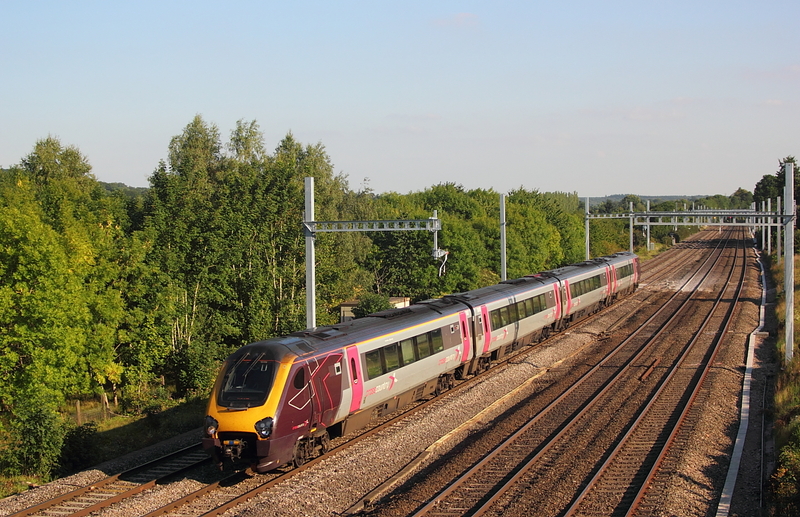 221143+221110 1A72 07.17 Chester to London Euston. 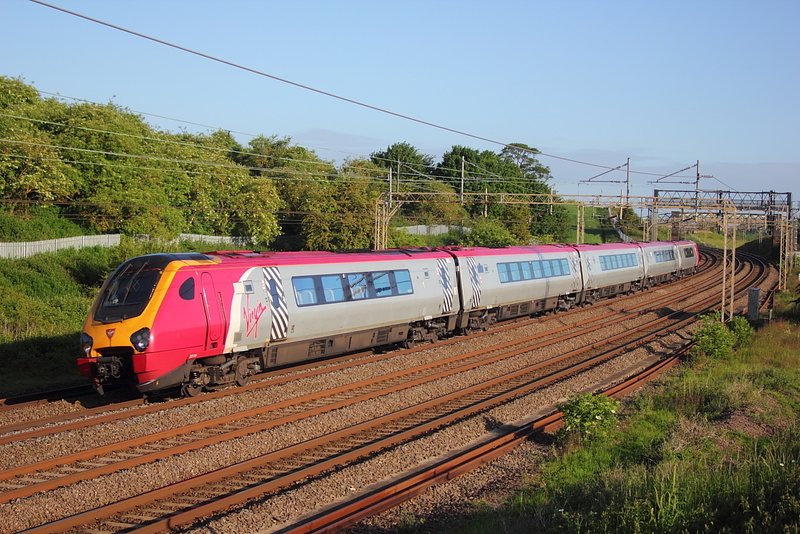 220034 1O88 11.35 Newcastle to Southampton Central. 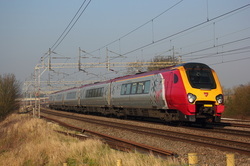 220024 1O18 12.27 Manchester Piccadilly to Bournemouth. 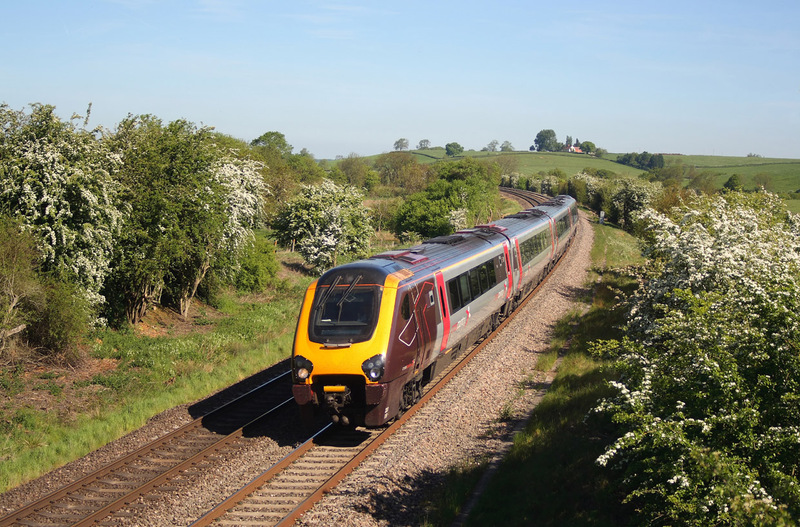 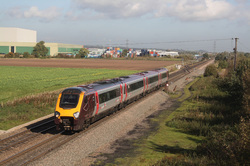 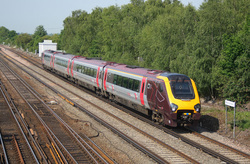 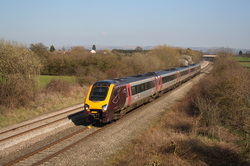 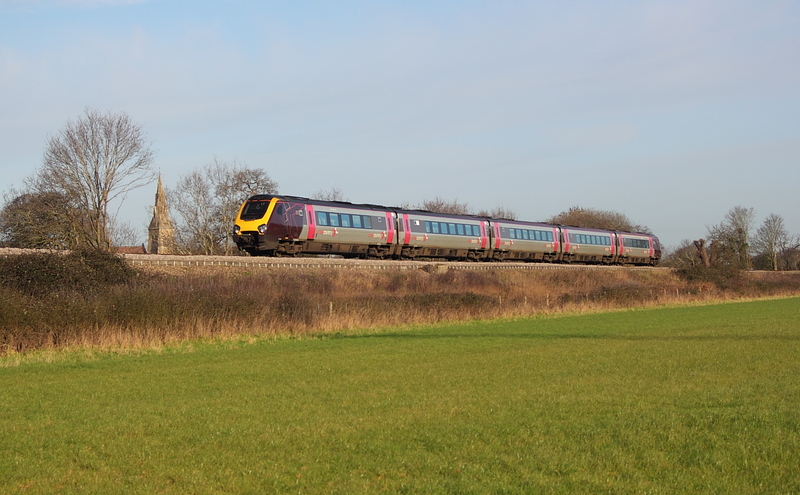 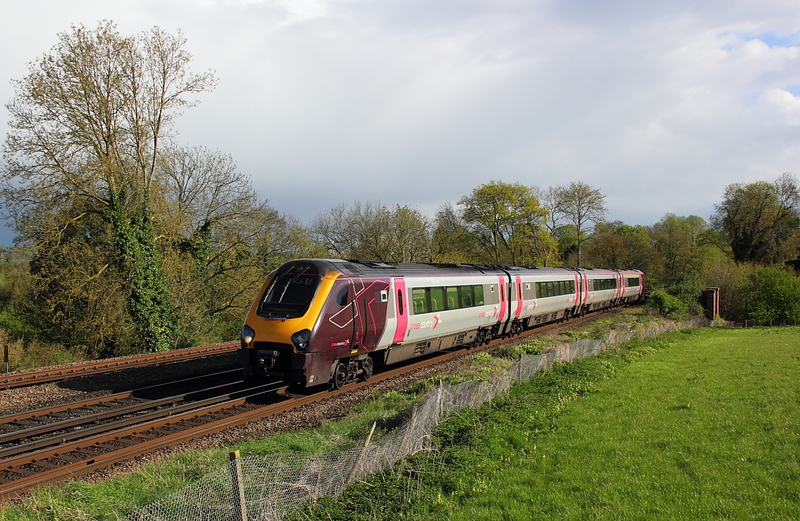 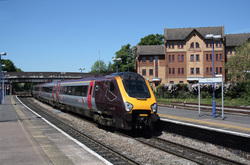 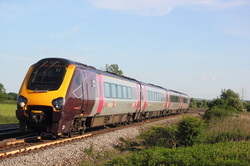 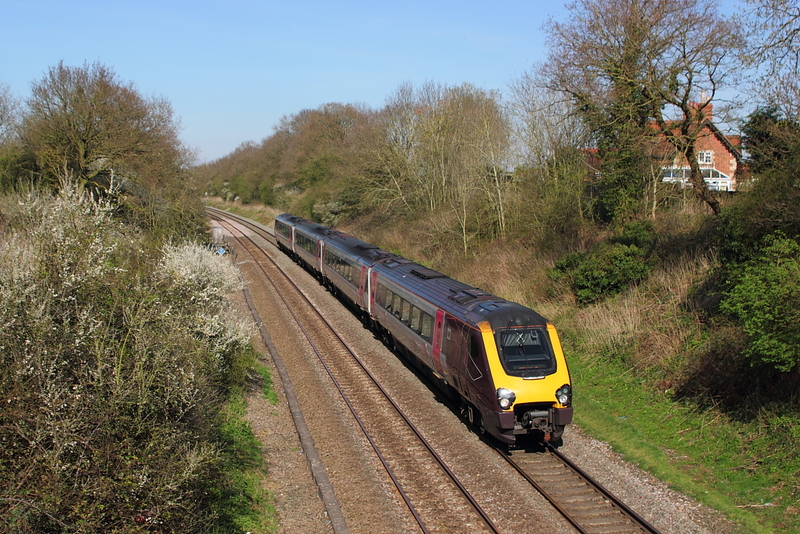 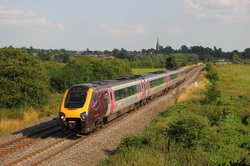 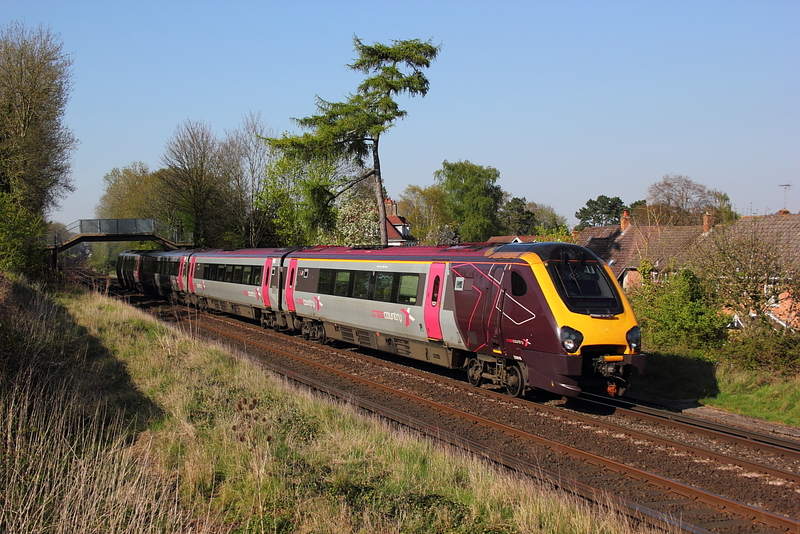 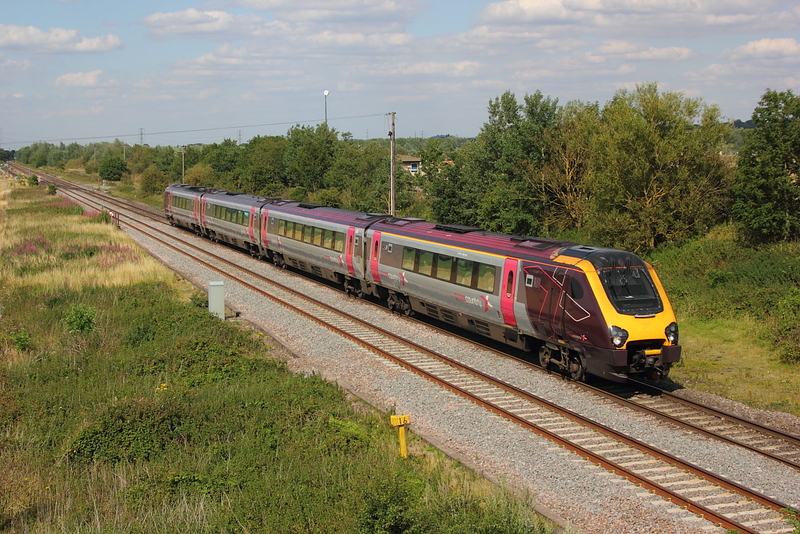 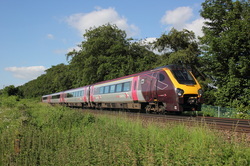 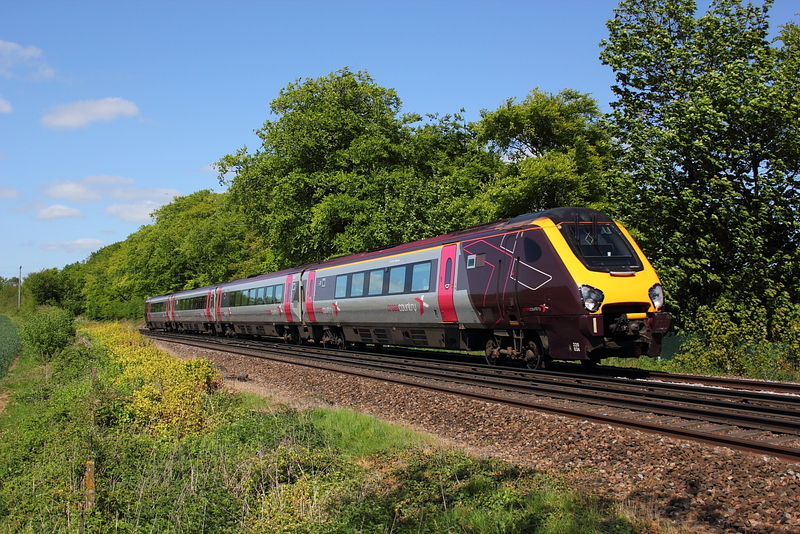 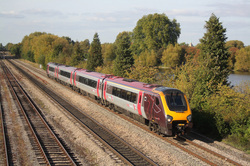 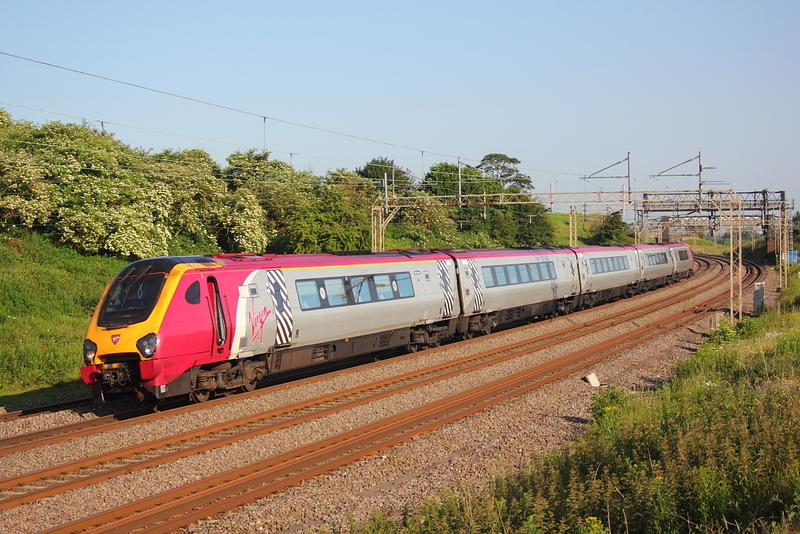 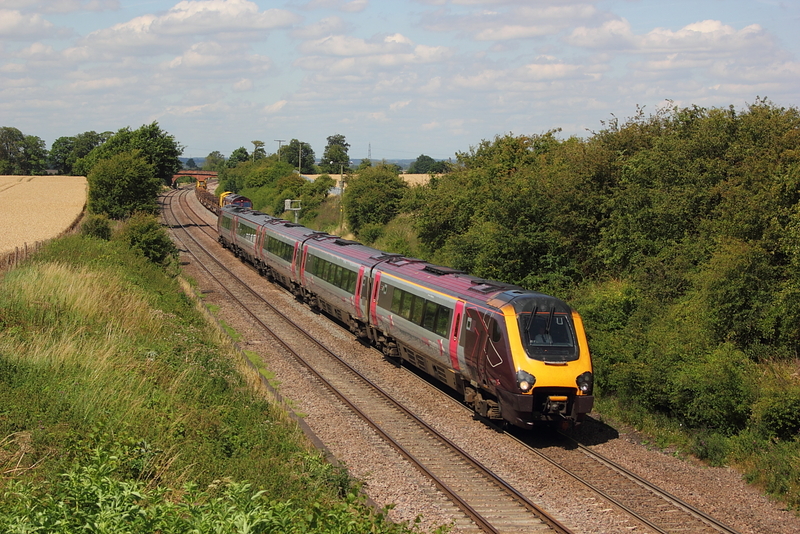 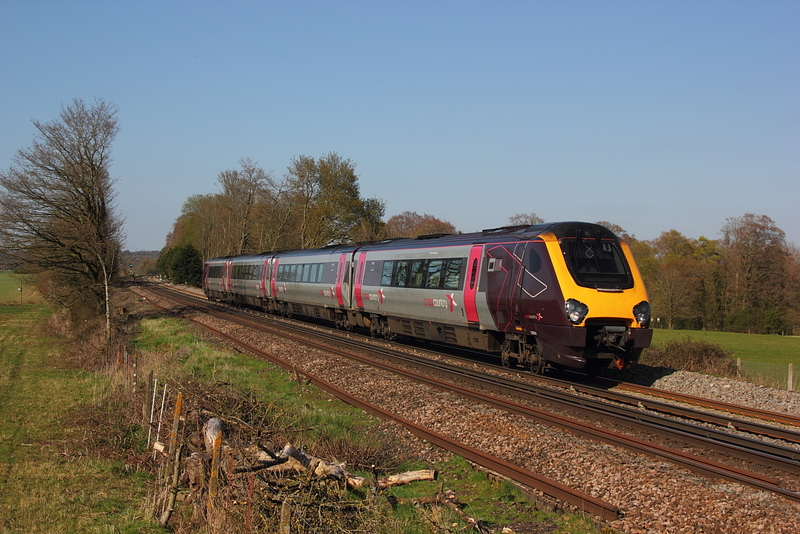 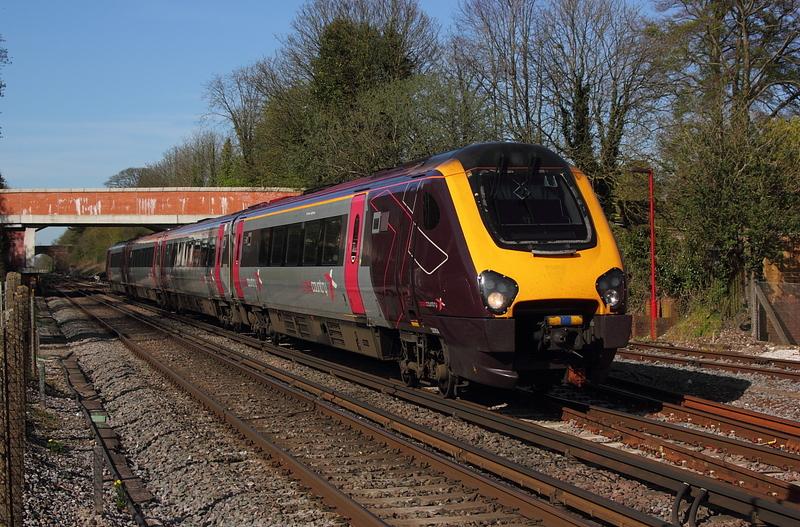 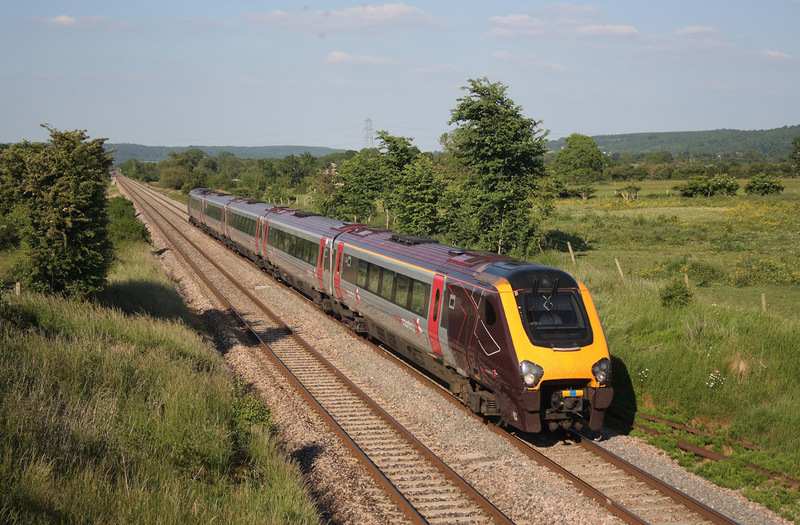 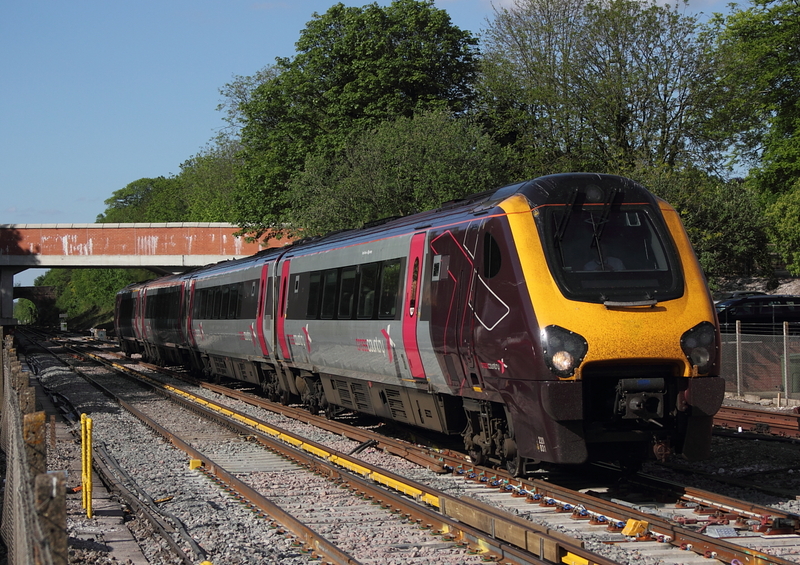 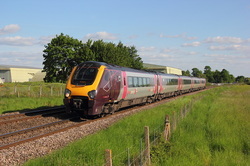 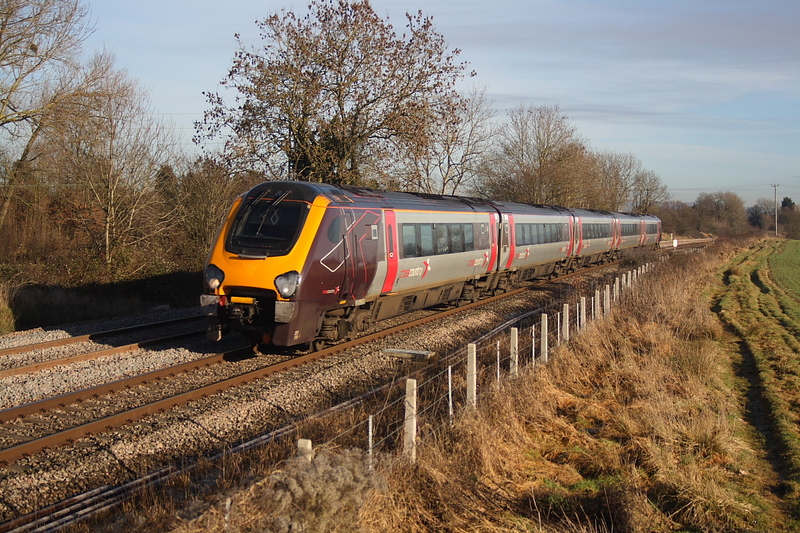 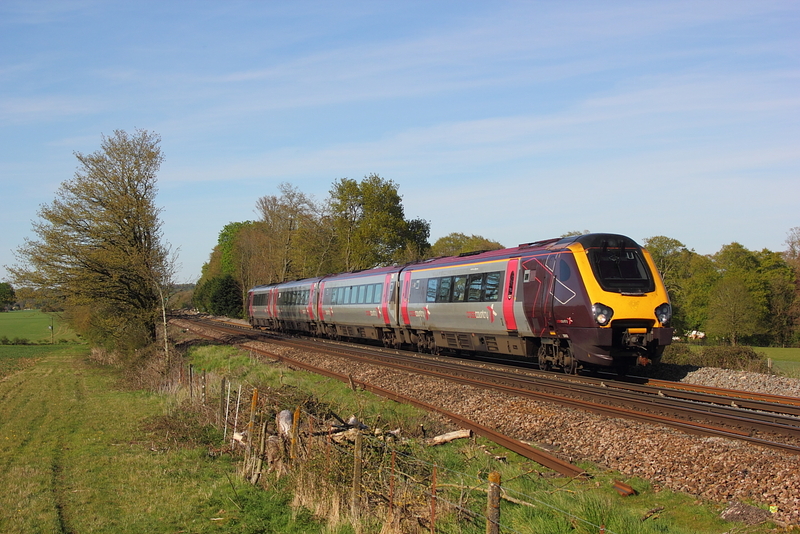 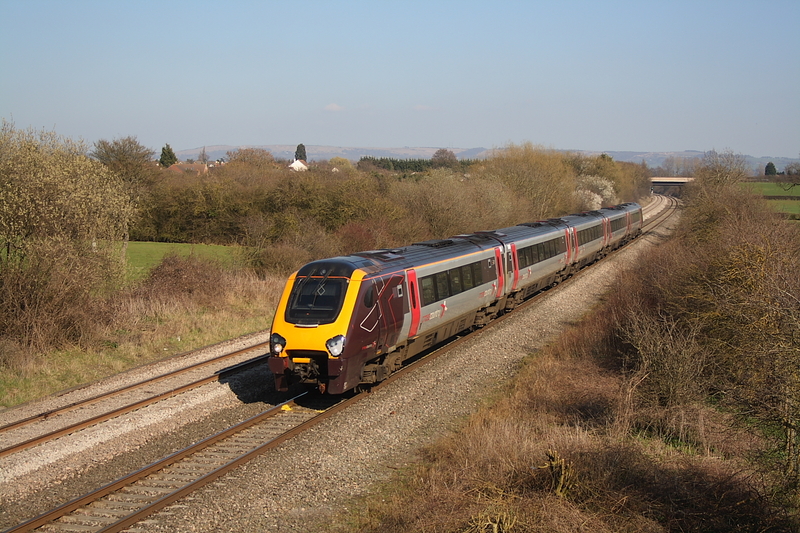 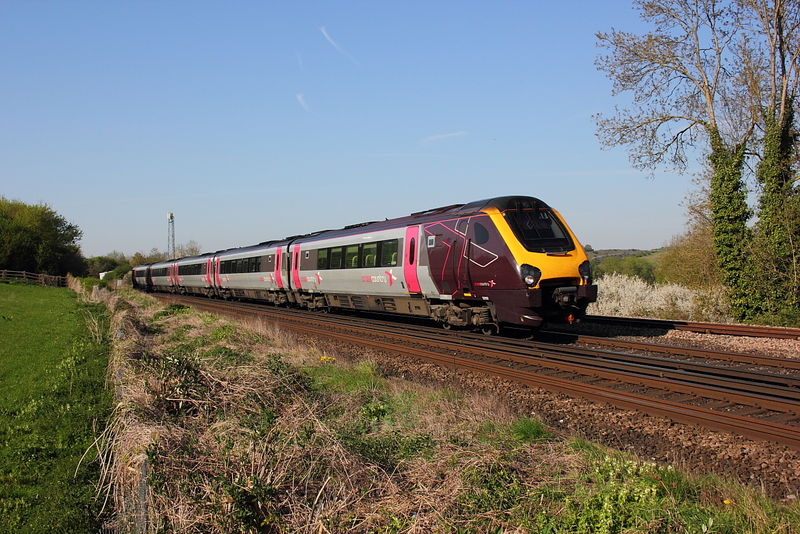 221122 1V55 12.07 Manchester Piccadilly to Exeter St.Davids. 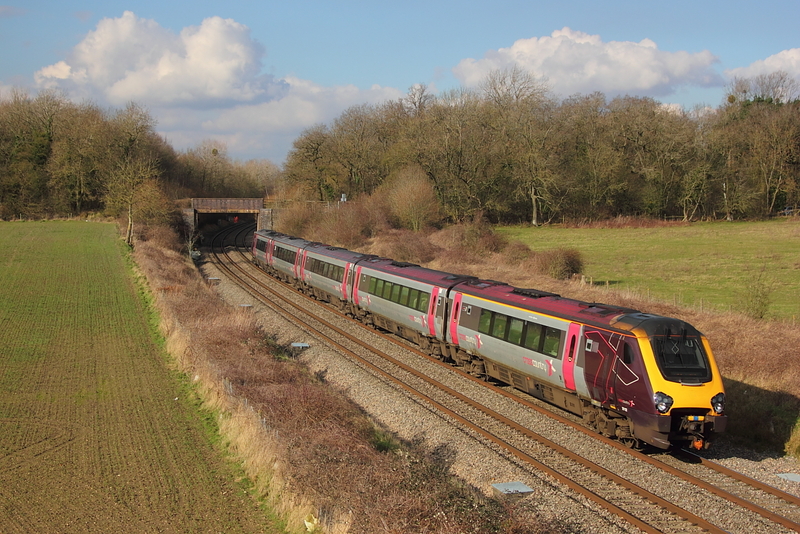 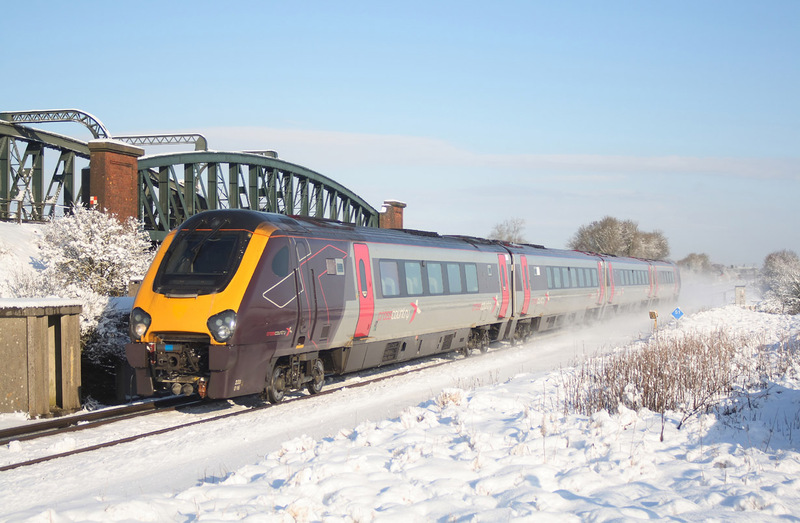 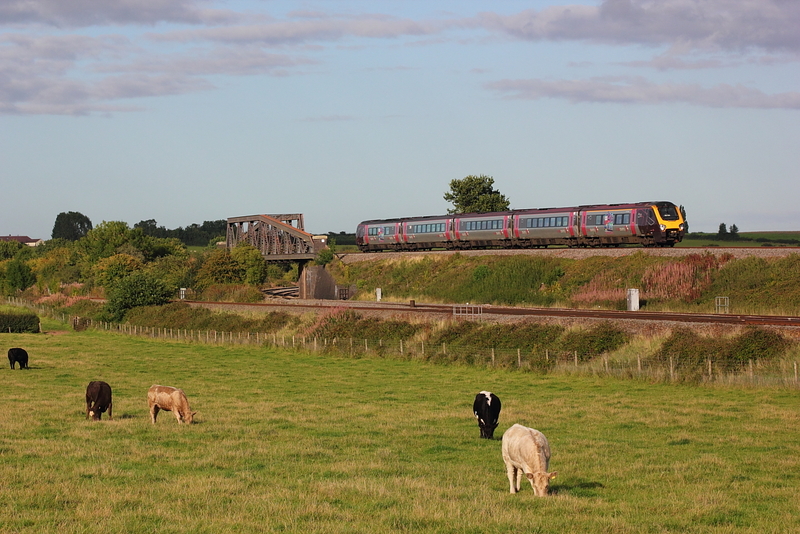 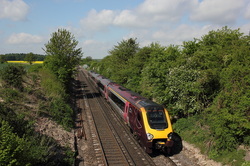 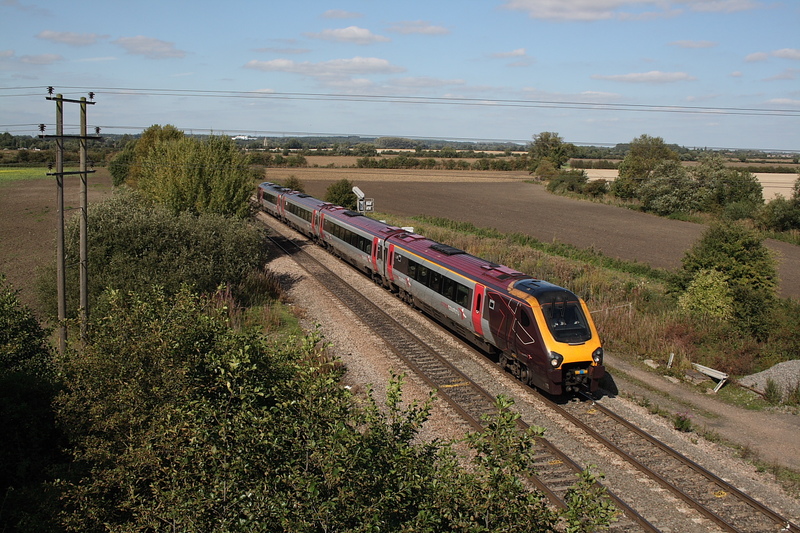 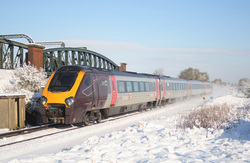 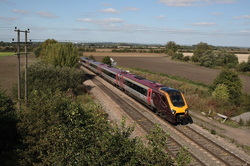 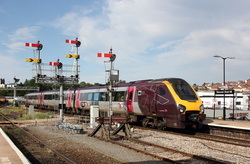 The Big Hoot Voyager crosses the flyover at Cogload with 1V59 14.07Manchester Piccadilly to Paignton. 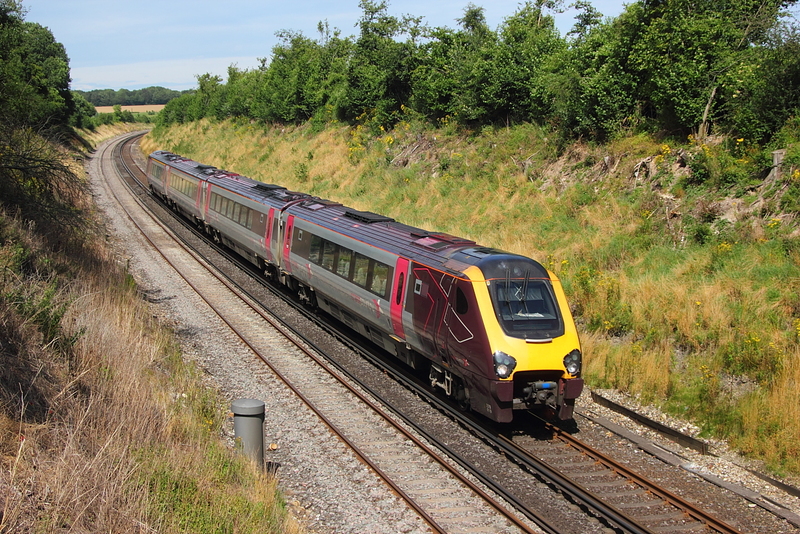 UID Voyager passing on 1V4606.20 York to Plymouth. 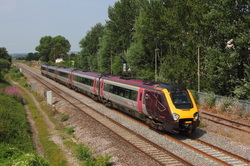 220015 1o08 07.27 Manchester Piccadilly to Bournemouth. 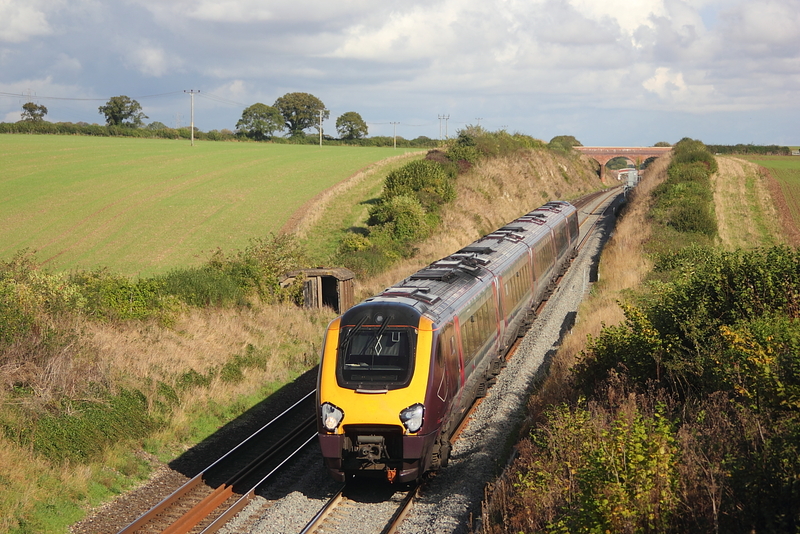 UID Voyager passes on 1V56 07.50 Glasgow Central to Plymouth. 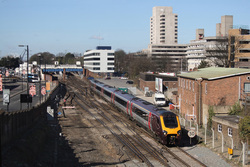 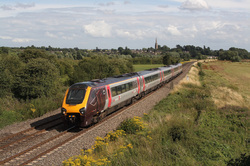 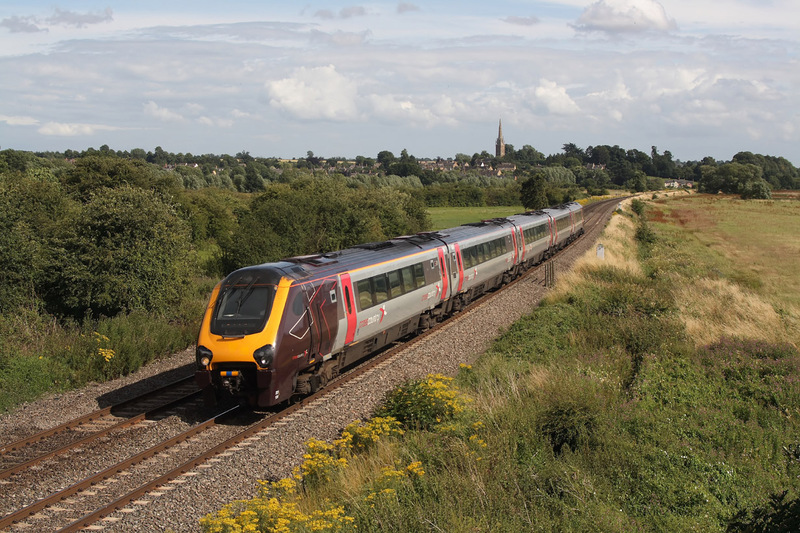 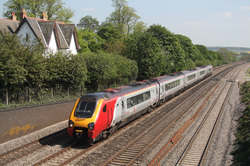 221110+221117 1R21 06.39 Shrewsbury to London Euston. 221143 leads on 1R03 06.20 Rugby to London Euston. 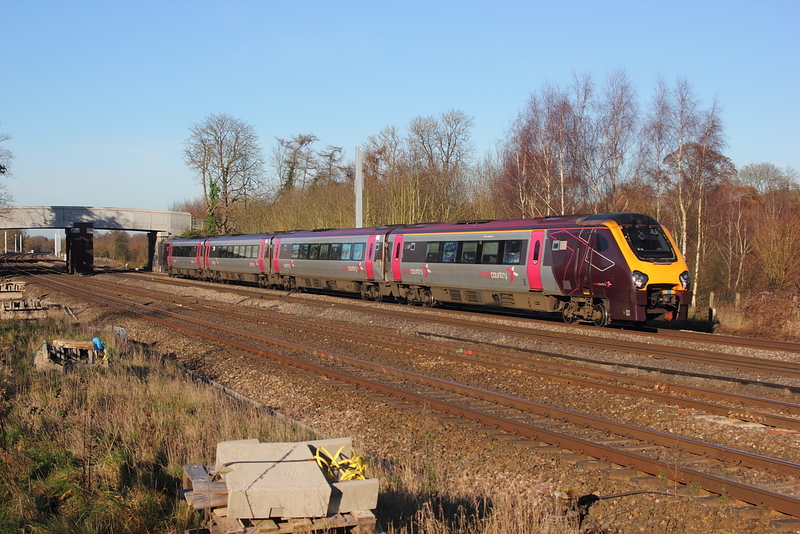 UID Voyager on 1O18 12.27 Manchester Piccadilly to Bournemouth. 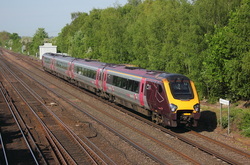 221137 1O88 11.35 Newcastle to Southampton Central. 220024 1O84 07.35 Newcastle to Reading Central. 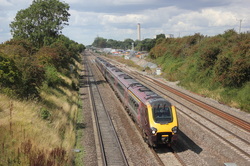 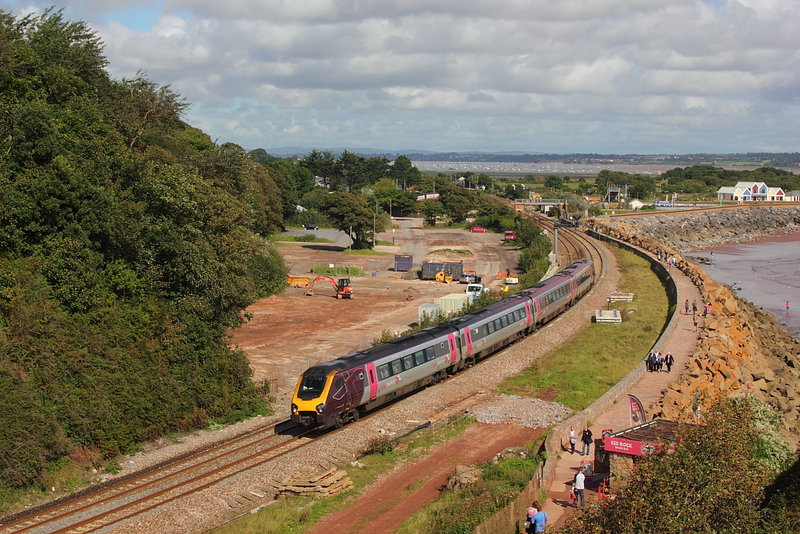 221124 1M41 10.07 Paignton to Manchester Piccadilly. 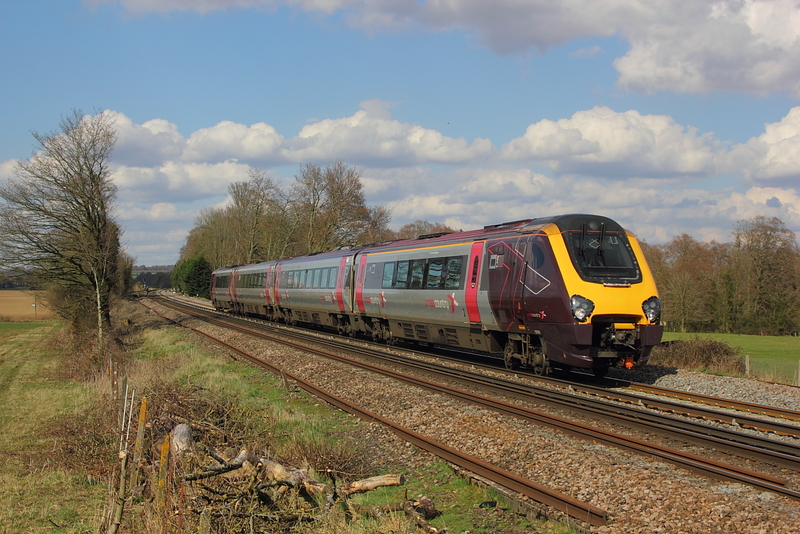 220032..1O20..13.27 Manchester Piccadill to Bournemouth. 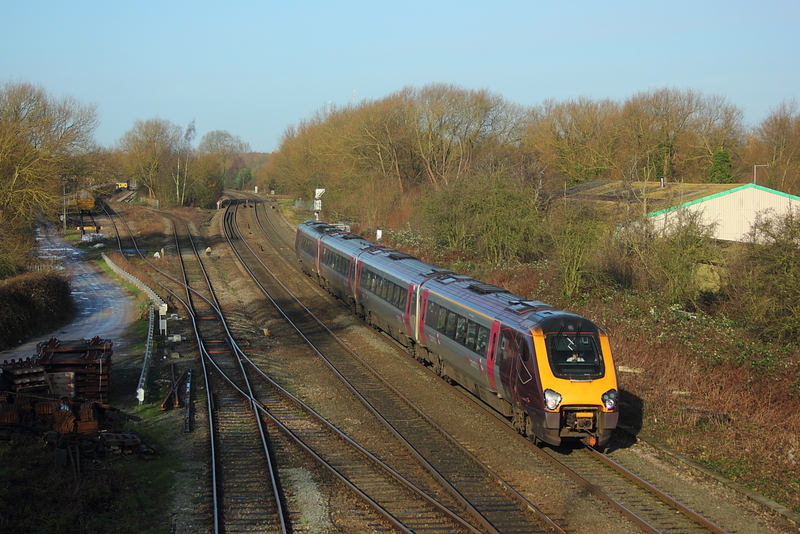 220015..1M30..07.30 Bournemouth to Manchester Picc. 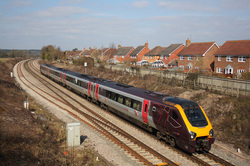 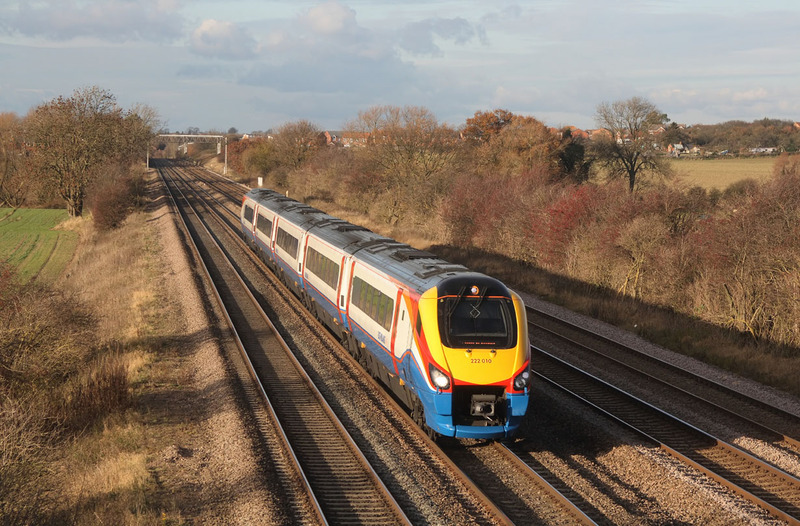 220011..16.45 Bournemouth to Manchester Picc. 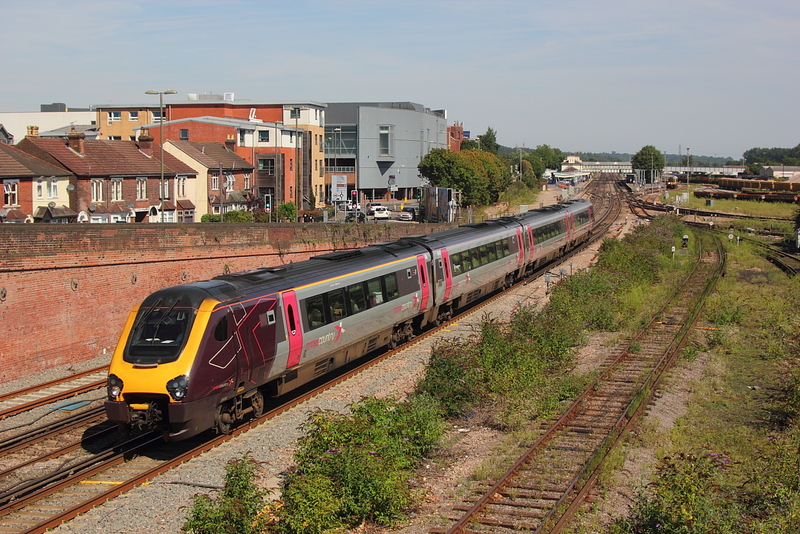 220010 passes non stop through Worcester Shrub Hill station with a diverted 10.05 Edingburgh to Plymouth service. 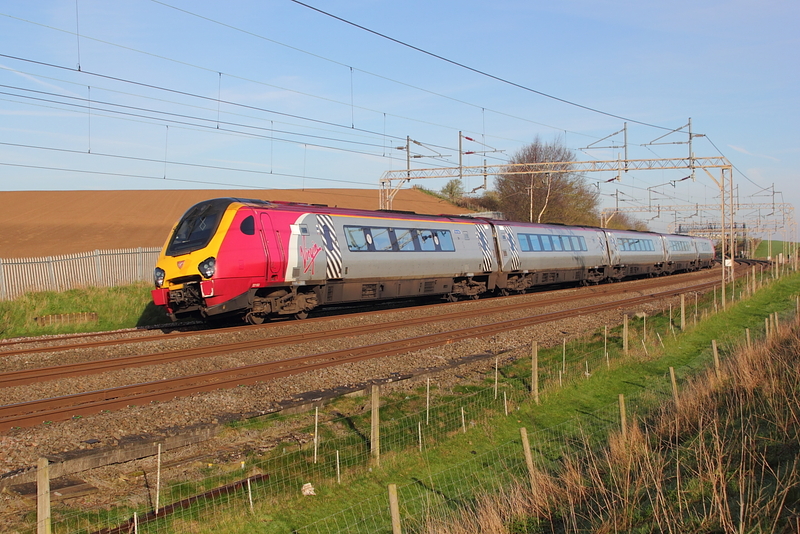 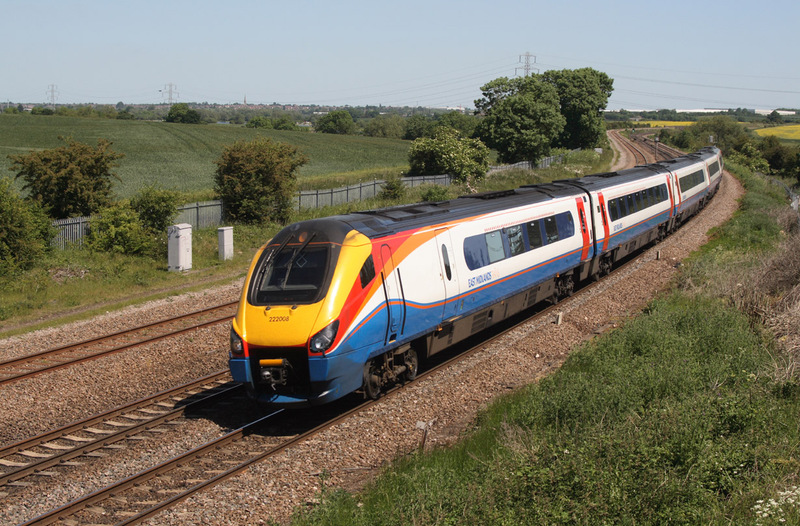 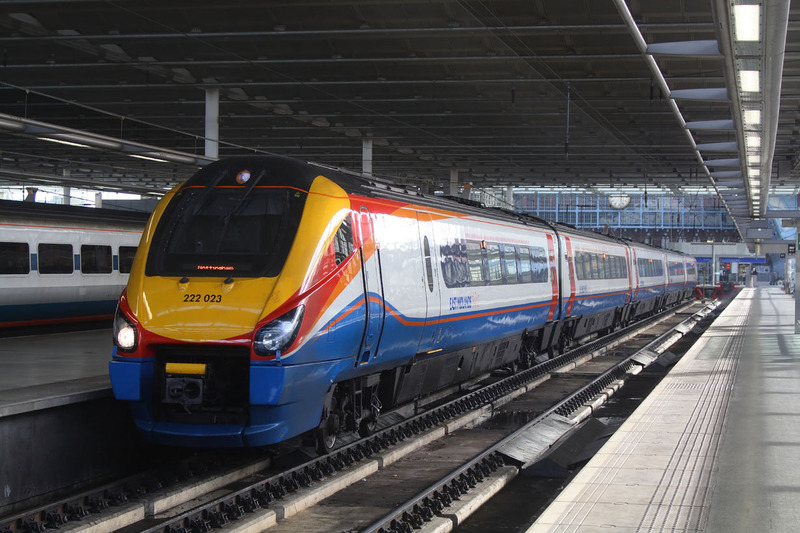 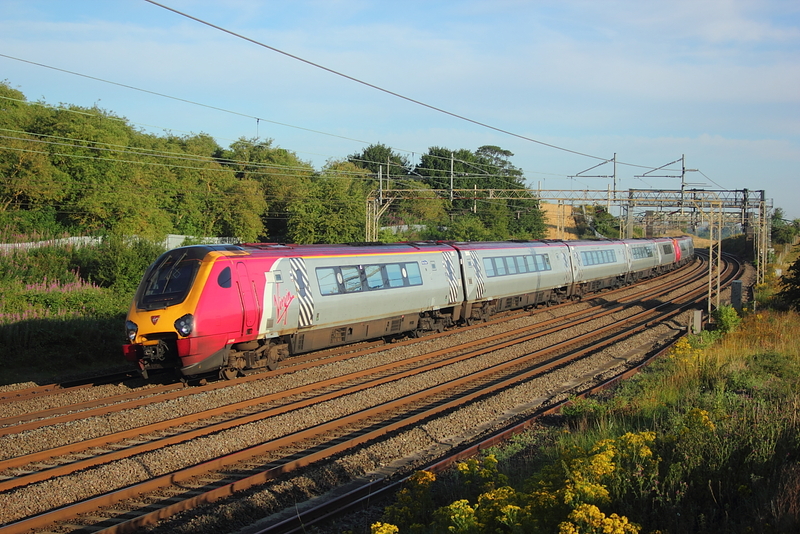 220019..09.35 Newcastle to Southampton Central. 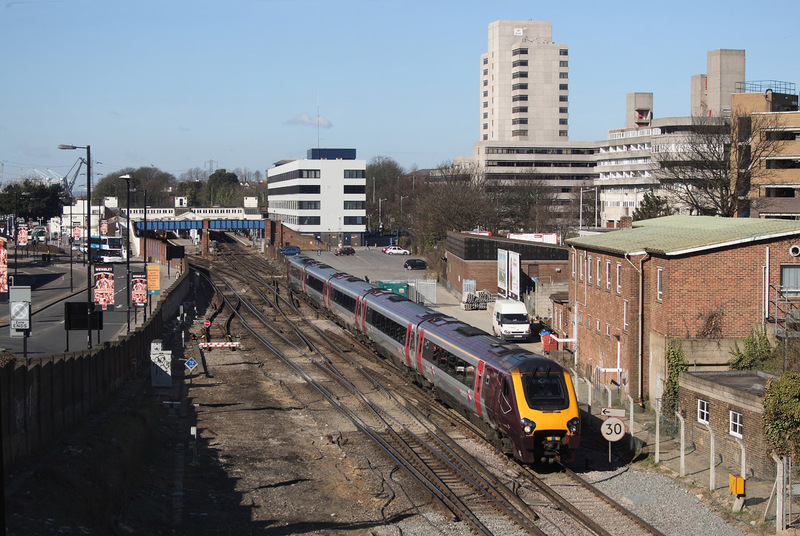 220024..08.45 Bournemouth to Manchester Piccadilly. 221126..11.27 Manchester Piccadilly to Bournemouth. 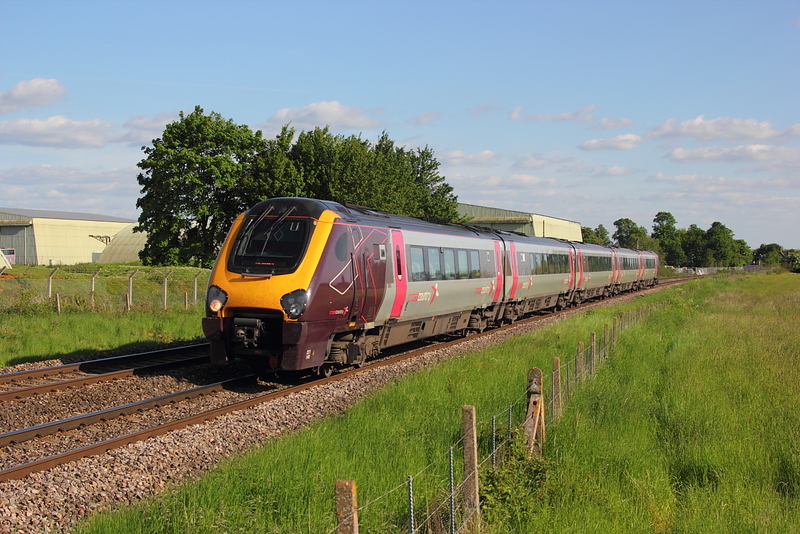 220019..07.27 Manchester Piccadilly to Bournemouth. 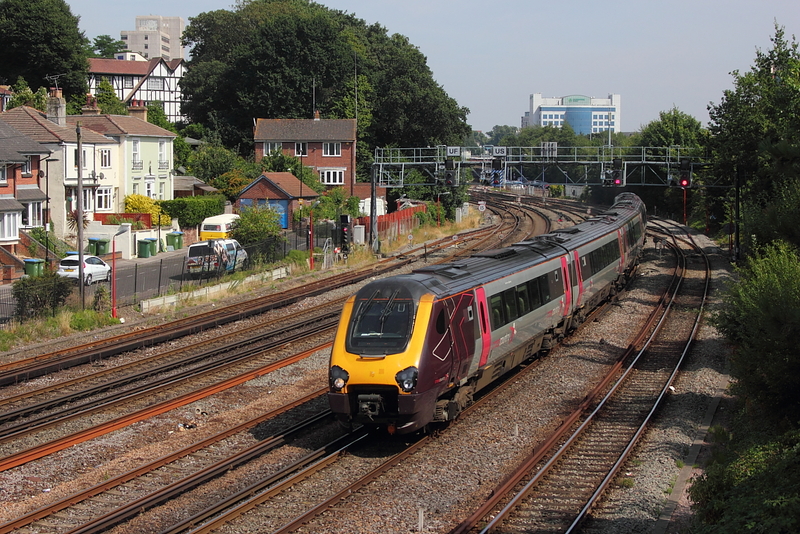 221122..09.40 Bournemouth to Manchester Piccadilly. 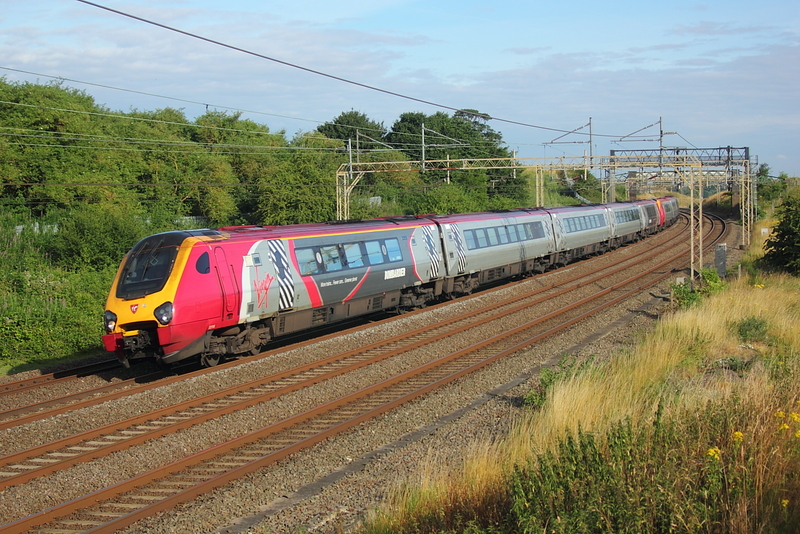 220016..09.27 Manchester Picc. 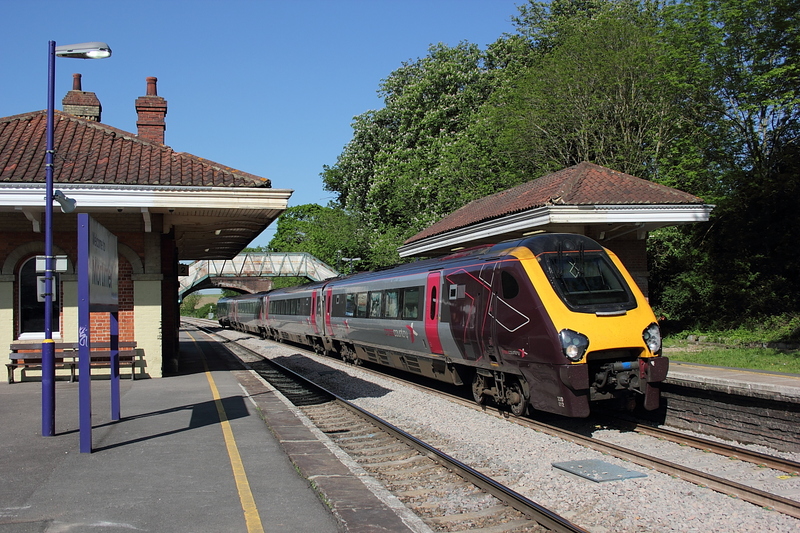 to Bournemouth. 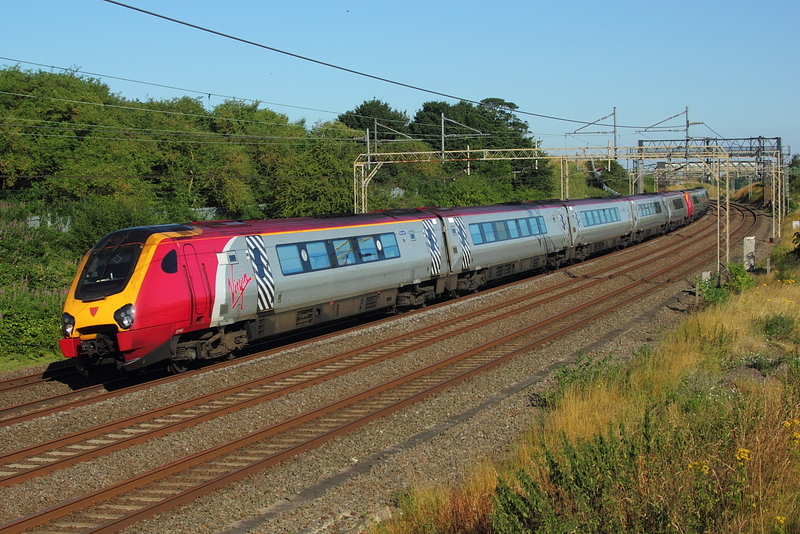 220001,12.27 Manchester Picc. 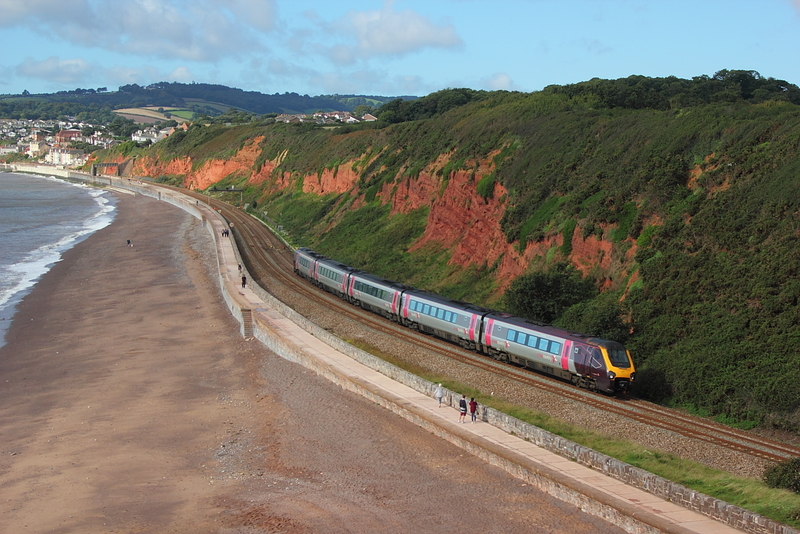 to Bournemouth. 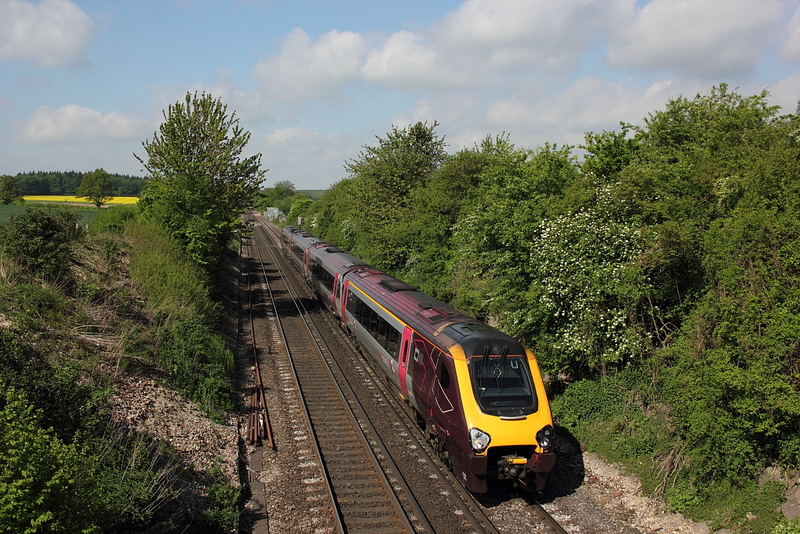 221134..14.45 Bournemouth to Manchester Picc. 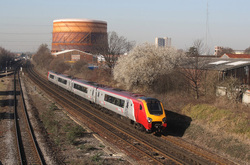 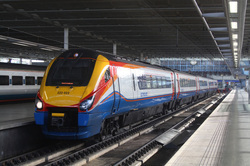 Meridian, 222008 ..13.15 St. Pancras to Nottingham. 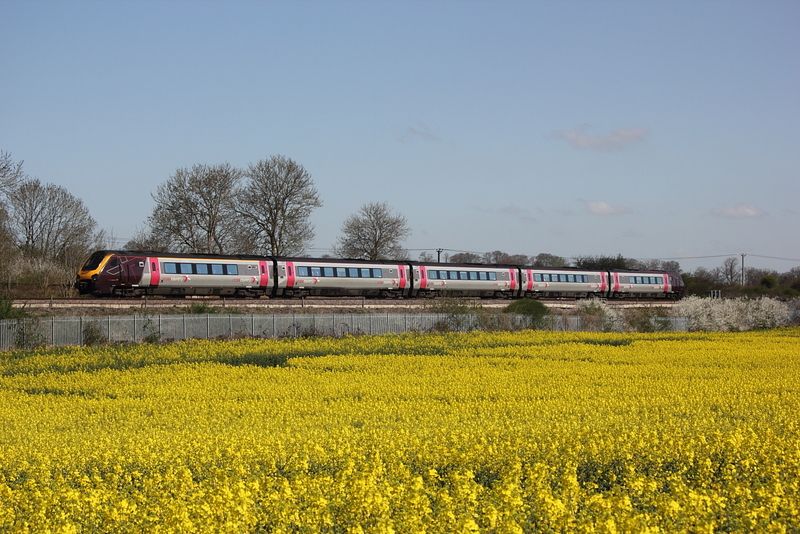 Meridian,222010..13.33 Derby to London St.Pancras. 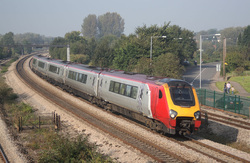 Meridian,222023 awaiting departure on the 12.30 service to Nottingham. 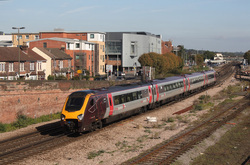 221116 Diverted 07.56 Derby to Bristol Temple Meads. 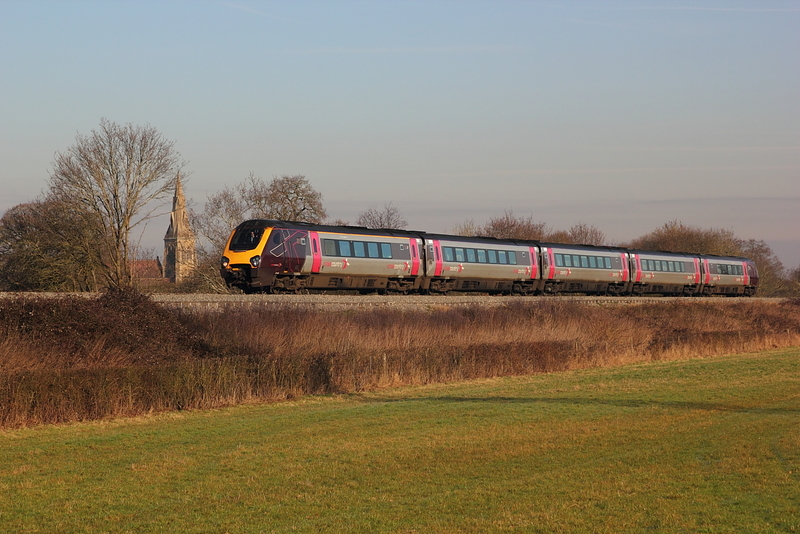 220020..12.45 Bournemouth to Manchester Picc.